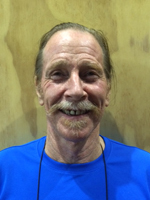 Training: President Taekwondo Queensland, National Technical Committee Chairman.Despite Master Chris’s impressive martial arts credentials, he’s always quick with a smile, and his students love how easy going he is. BTC is very fortunate to have Master Chris as an Instructor. 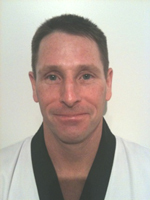 Master Chris has over 40 years’ experience in Taekwondo, martial arts and self-defence, and has taught both in Australia and Korea. In addition to being Queensland’s most senior Taekwondo practitioner, he is the Taekwondo Queensland President, Taekwondo Australia National Technical Committee Chairman, a Senior Technical Judge and Judge Trainer, Referee, as well as a 2nd Dan Black Belt in Hapkido. Master Chris also conducts Master Classes each week which are attended by Master Instructors from all across Queensland and Northern NSW (and even occasionally by Instructors from Korea!). Whether an adult or child, beginner, or the most experienced Taekwondo practitioner, Master Chris is certain to have something to share with you. Training: BSc, Cert IV Training & Assessment, NCAS Level 2 Coach, NCAS Coach Trainer. Master Adam loves teaching and inspiring his students, seeing them grow as people and in their love of martial arts. His aim is to help his students become fit, focused, and confident. Street practical self-defence is a passion of Master Adam’s, as is mixing a range of martial arts skills from Taekwondo, boxing, BJJ and Hapkido into his classes to give students a great all over workout, as well as practical and well rounded martial arts skill. ..
Training: 40 years in martial arts, including the militaryInstructor Tim is loved by adults and children alike, and is often known by our youngest members as “Tiny Tim” despite being a formidable martial artist. 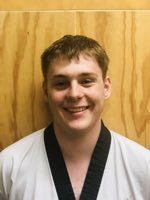 A black belt in Taekwondo and Hapkido, Tim additionally has over ten years experience in Kung Fu, Karate, and the military. He is an extremely dedicated martial artist whose experience spans 40 years.With his depth of experience across a number of martial arts, Tim always has a unique perspective and something to share with everyone. .
Training: 15 years in martial arts, fitness fanatic, police officerWarwick is well known for his friendly and helpful nature, and is always willing to help out a fellow club mate, or offer a few words of encouragement. Despite being a significant fellow at over 100kg, he exemplifies the skill and agility that can be obtained by a big person with dedication and training. Instructor Warwick is equally known for his passion for fitness, and the great workouts he gives everyone during every class. You can be sure you’ll leave his classes having had a great workout! . 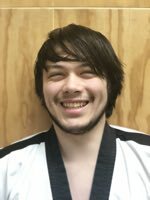 Training: 10 years in martial arts, Instructor Benedict has many years of experience in martial arts, and is loved by his students for his contagious enthusiasm. Benedict teaches kids classes, as well as BTC’s Demonstration Team, and sword classes. .
Training: 8 years in martial arts. A dedicated Taekwondo practitioner, Instructor Ryan loves teaching children of all ages and sharing his knowledge with them. .
Training: 7 years in martial arts Instructor Will loves Taekwondo, fitness, and martial arts, and perhaps, most of all, sharing his knowledge and experience with the students he teaches. .
Krav Maga, Street MMA, or Survival Jujitsu as it is variously known is lead by Master Gavriel Schneider. Gav brings great passion and enthusiasm to his teachings, as well as thirty years martial arts experience which includes obtaining his 7th Dan Black Belt in Survival Jujitsu, 6th Dan Black Belt in Koga Ryu Ninjitsu, 6th Dan Black Belt in Genai Ryu Ninjitsu, 2nd Dan in Taekwondo, and black sash in Muay Thai. In addition to this Gav has taught, and still teaches military and police personnel around the world including special forces units, and consults government and enterprise on security and risk management having his PhD in this field. Instructor Nick is a very experienced martial artist in his own right, having obtained his black belt in Wing Chun Kung Fu, and being an Instructor of boxing, kickboxing and Muay Thai. This is of course in addition to being a Survival Jujitsu, Krav Maga, and Street MMA Instructor having learnt from Master Gav for a number of years. 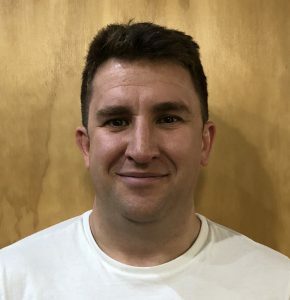 Nick is also a qualified personal trainer with experience in security so knows firsthand about health and fitness, as well as self-defence and martial arts. 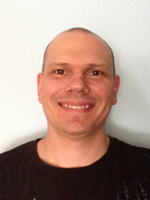 You’re sure to enjoy Nick’s fun and dynamic teaching, which keeps you coming back for more. 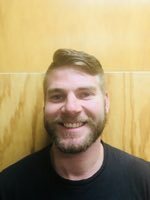 Instructor Max is not only a Krav Instructor but also a member of the Australian Defence Forces and a highly experienced martial artist in his own right, having trained in BJJ, MMA, boxing, and kickboxing. 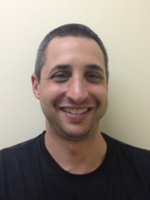 Max loves Krav, fitness, and martial arts, and perhaps, most of all, sharing his knowledge and experience with the students he teaches. Professor Nic is a passionate guy whose love of Jiu-jitsu comes through in every class he teaches. Nic has many years experience in BJJ, as well as many other grappling martial arts and MMA. His zest for health, fitness, and martial arts, and great experience is sure to help you achieve your best in BJJ whether it be simply to improve your fitness, learn self-defence, or take your competition to the next level. 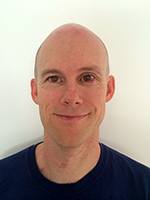 Nic is also a Sports Medicine Australia Level 2 Sports Trainer, NCAS (National Coaching Accreditation Scheme) Coaching Accreditation, and has a Diploma of Sports Development. 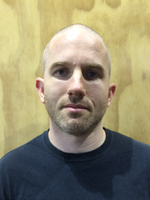 Instructor James loves teaching and is a long time passionate proponent of both Gi and No-Gi Brazilian Jiu Jitsu. 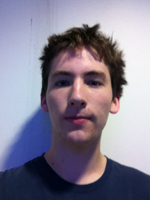 James’ classes are always extremely popular, with students loving his friendly nature and ability to teach even complex techniques in an easy to understand way. If you’ve been thinking about trying BJJ, be sure to come along and check out one of his classes. 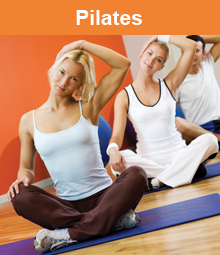 Whilst Pilates is a popular and fun way to tone up, work on your core strength, get flexible, and recover from injury, it is also quite technical. That is, to get the most out of a class, and ensure safety, it’s essential to do the techniques correctly. That’s where friendly and experienced instructors are vital. BTC is fortunate to have a fantastic team of enthusiastic and dedicated Pilates instructors who can help you achieve your goals whether they be toning, rehab, or something else, so be sure to introduce yourself to our Pilates teaching team at your next class.